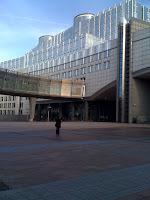 If you follow the tweets or read the blog regularly you will know that I've just been to Brussels. I make no effort to hide my love for Belgian beer and although not every Belgian is going to fit into my favourite aggressive hoppy style, they are consistant if nothing else. This is really the first beer pilgramige I've done. I've visited my favourite wine regions but never travelled a lot for beer. This is something that since my trip to Brussels will change. The trip was worth every single minute and every single euro. I travelled up from the south of France to meet another beer geek friend, David Bald. We met in the train station on the Friday and the rest is history. I learned so much in my weekend. My main realisation has been that in future I'm going to stop drinking mass marketed rubbish totally. I will from now on be having good and tasty alcohol or no alcohol at all. As a student this is something that prior to now I've never adhered to. Don't get me wrong that doesn't mean that I will only drink 'expensive' or 'fancy' drinks but there are many pints that are now off limits (except in dire straits). This decision has mainly come from the sensory experience that I have in Brussels. I just think if its not good then whats the point really? We visited many great places during the course of our weekend there. I had been given many places that we simply 'had' to visit, so we did! Day 1- We met in Brussels Midi station just after 4pm. We found our hotel after fighting our way on the metro and we were pleasantly surprised as to how central we were. I was a little apprehensive as to what we were going to find after the views of an industrial wasteground on the way into Brussels on the train. Nevertheless the centre of Brussels itself was great. First stop was food, after 5 hours on a train with only pringles and a banana, I was a bit hungry! We decided to play it safe on our first night. I had detailed directions to Café Delirium, which although a tourist trap, was great and very close to us. 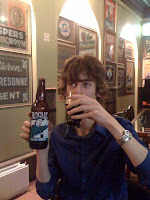 The first drink in Belgium......Flying Dog Snake Dog IPA. Ooops! Sacrilege! That night went well, quiet really as we were both tired after travelling and had a terrible dinner that evening. The highlight of the evening though was our first vist to the Hoppy Loft in Delirium and mainly our first visit to Moeder Lambic. The most memorable part of this evening was ordering my travelling companion an apple juice off the menu even although I speak French, woops the alcohol must have started to set in! Day 2- It stated early. Too early. We visited Cantillon Lambic brewery in the morning which I am going to write a separate blog for as the visit was so good. We went from there on search of the 'holy grail' and we almost succeeded. 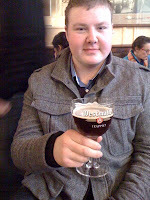 At Beer mania in a shady part of town we found Westvleteren 8, which it seems is not actually that hard to come by. It was great but it still left me yearning to try its big sister (as wrong as that sounds). For those of you reading the tweets you may have noticed the tweet ' I seem to have walked into the past' this was in reference to the lovely place we chose to eat that afternoon. First clue that it was to be a bad idea, we were the only people there! We both ordered the same, a Grimbergen Brune and the lasagne. The lasagne was made with ham rather than beef mince, need I say any more about our walk into the 80's. We went from there to A la Mort Subite and it was a refreshing change. Busy, great beer on every table, non matching tables and decor, Bliss. I had their white lambic which was refreshing and well needed after the Grimbergen. The rest of the afternoon is a bit hazy to be honest. Back to Delirium? To Moeder Lambic? Tick, Tick. Then we made our way to find another beer geek (I hope she doesnt mind) @ tania_nexust. She was saving us a seat in La Porte Noire, which I'm sure she immediately regretted when we poured ourselves through the door. I ordered a Duvel Green?!? Sorry come again?!?! And David made a slight faux pas by ordering a 10% beer in a pint glass. No wonder we had some issues getting back to the hotel. However, drinks aside meeting Tania was great and I hope to bump into her again on a twissup somewhere along the line. Cocktails. Yes thats right! Im ashamed but they were girly mixed drinks. Sometimes too much good beer is just too much of a good thing. This is David before the booze kicked in! It was great meeting up with you both and it worked out grand that I managed to bag a table in Porte Noire - not always easy on a Sat night! FWIW I quite like the Duvel Green - had it occasionally on tap in All Bar One in Bham and found it to be flavoursome & slightly spicy. 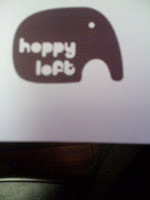 I'm also maddended that I didn't know about the "Hoppy Loft" - been to Delirium again on this trip (for the "other kind of geek" event) but totally missed that they'd opened a new upstairs bit - still, I'll be back in Brussels before the year is out, so just gives me somewhere else to fit into the schedule! Hope to see you & David as well again at some point, at a twissup, beer fest, beering around Scotland, or indeed back in Brussels!